10-Day 2020 Iditarod Guided Tour. See the Iditarod Race major events & the northern lights - Package includes: Checkpoint fly-out; dog sledding & many winter activities. 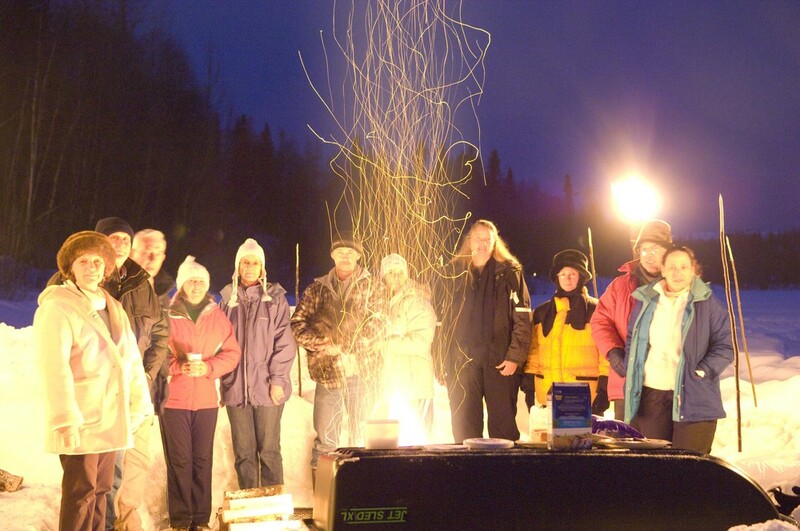 See the northern lights in Fairbanks and Chena Hot Springs. See Ceremonial start of the Iditarod Race. 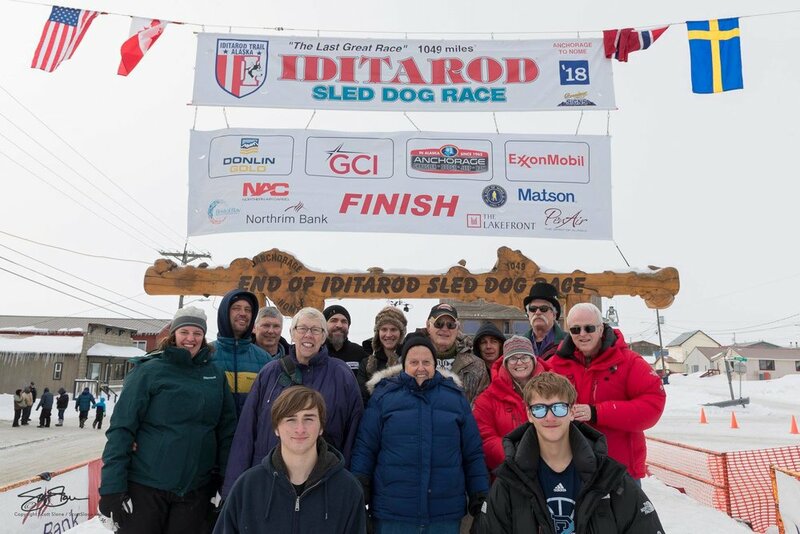 See the Official start of the 2020 Iditarod Race. Fly-out to Rainy Pass checkpoint. Opportunity to view and photograph the northern lights. View Ice Sculptures of the Ice Art World Championship in Fairbanks. Enjoy Alaska's winterland aboard the Alaska Railroad. 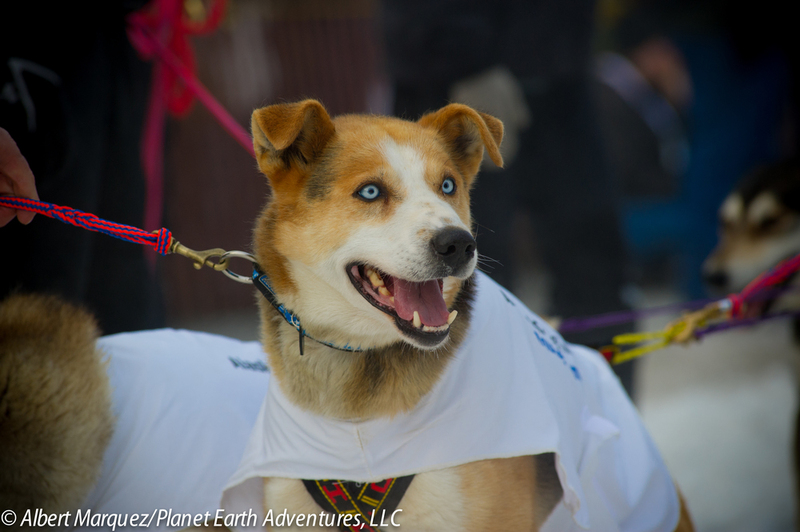 Join us in Alaska for the 2019 Iditarod Sled Dog Race. Witness the Iditarod Race Start on Anchorage’s 4th Avenue; attend the Musher's Banquet; visit an Iditarod Sled dog kennel and drive your own team of dogs; fly-out to a remote checkpoint at Rainy Pass; or extend your visit in Alaska and watch the end of the race in Nome which is located on the Bering Sea to witness the mushers crossing the finishing line after an exhilarating trip of 1100 Miles. All of this combined with Northern Lights / Aurora Borealis viewing will sure make the perfect Alaskan Winter Adventure! Day 1: (Wednesday) Arrival: Arrive in Anchorage and transfer to hotel via courtesy shuttle. The rest of the day is free to wander around and explore this pleasant city and its shops. The hotel is located only ten minutes from the downtown shopping area. The hotel also offers a health club, pool and whirlpool for your convenience to help you unwind from your long flight up to Alaska. Overnight in Anchorage. Day 2: (Thursday) Anchorage/Musher's Banquet: This morning we depart Anchorage for a scenic drive south along the edge of the Turnagain Arm on the Seward Parkway. This road is considered to be America’s most beautiful and scenic road, crossing mountain passes and majestic valleys. On our way, we will make a couple of stops for photo opportunities at Beluga Point and Bird Point. Afterwards, we will travel to the Alaska Wildlife Conservation Center. Here you can safely get close, observe and photograph some of Alaska's largest land animals, including moose, bison, elk, deer, caribou, bears muskox, small mammals and birds of prey. Tonight, enjoy the Iditarod Festivities at the Musher’s Banquet. Mingle with the mushing community from near and far and bring your camera for a photo opportunity with your favorite musher. Meet mushers, collect autographs and participate in the auction. This evening the mushers will be drawing their bib number. This is a must for anyone that is seeing the Iditarod for the first time. Attire for this banquet is Alaska style (casual) Overnight in Anchorage. Day 3: (Friday) Day in Anchorage: Today is a day at leisure and time to enjoy the many winter festival activities during Anchorage's Annual Winter Fur Rendezvous. The Fur Rendezvous winter festival, known locally as Fur Rondy or "Rondy" is a significant part of the Anchorage's history and tradition. Enjoy crowd-pleasing events such as the Native Arts Market, Theater Show, Rondy Carnival Activities, Snow Sculpturing Competition, Snowshoe Softball and Firework Displays while the cities gears up for the Iditarod Race Ceremonial Start over the weekend. Overnight in Anchorage. Day 4: (Saturday) Anchorage: The Start of the "The Last Great Race” the Iditarod: At 8 a.m. you will meet your guide and your fellow travelers in the lobby of the hotel. We will have a pre-trip meeting before heading out. After our meeting we will board our comfortable van and head downtown for the ceremonial start of The Iditarod Race that begins on 4th Avenue in downtown Anchorage. Mushers can be seen on the trail along the Glenn Highway to Eagle River. The racers then pack up and head to Wasilla for the restart of the race on Sunday, an event which also draws big crowds. Later this afternoon, we will go to the Alaska Native Heritage Center and listen to fascinating stories about Alaska’s native cultures and get an insightful perspective into traditional native ways of life. Programs and exhibits demonstrate how Alaskan Natives fulfill their culture today. The Village Store provides an outlet for authentic Native arts and crafts. After the tour, you will have a free day to enjoy local Fur Rendezvous activities, shopping, or dining in Anchorage. 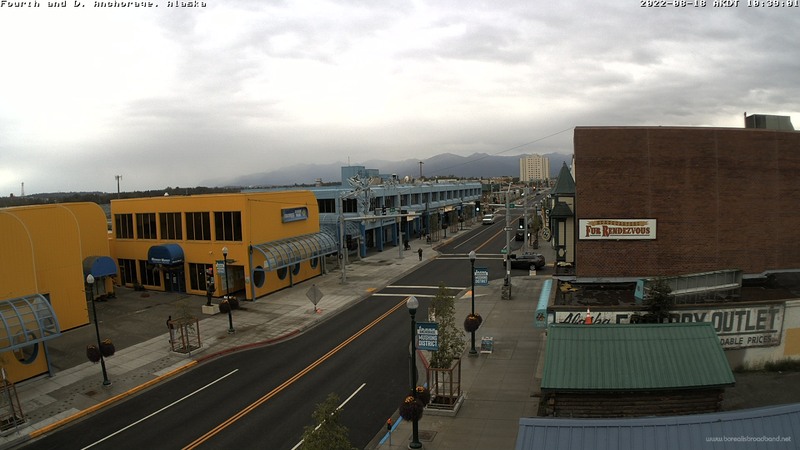 Overnight in Anchorage. 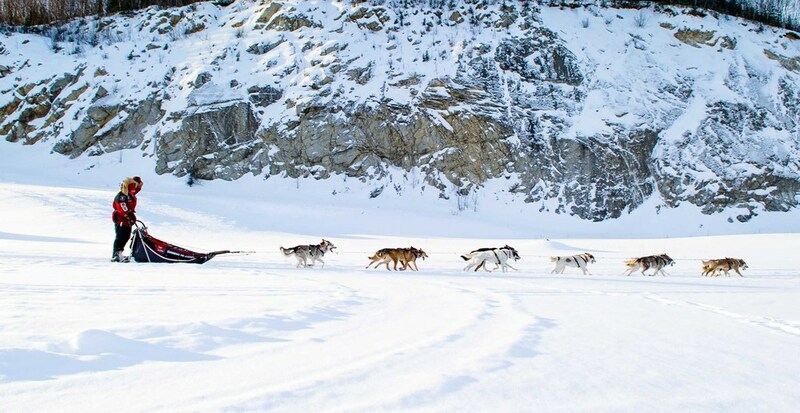 Combine this tour with our Nome Iditarod Race Finish Tour and create one Grand Adventure! ABOUT THIS TOUR: Adventure travel is exactly is as its name implies, an adventure! Although every attempt is made to adhere to these itineraries, participants need to acknowledge and willingly accept the unexpected route and itinerary changes due to factors beyond our control. About Aurora viewing and moon phases: we run our tours even when there is a full moon, a new moon and at all times in between. During a full moon the foreground is brighter, allowing you to capture the foreground. During a new moon, the sky is darker so the lights may appear slightly brighter. However, since we are in a place where the lights are so bright anyway, this makes very little difference in the quality of viewing. Please note that the Aurora is a natural phenomenon, subject to weather conditions, solar activity and sightings cannot be guaranteed. Some activities are subject to change when temperatures are below -30°F. Please note that this tour begins in Anchorage and ends in Fairbanks. PHYSICAL REQUIREMENTS FOR THIS TOUR: (Moderate): The Iditarod & Northern Lights Tour does not require a high degree of physical fitness. However, we will be exposed to extremely cold weather, often experiencing temperatures well below freezing, which in itself can be physically challenging. We may also have to walk in deep snow. Most nights we will stay up past midnight to look for the northern lights, which typically appear later in the evening. WHAT IS INCLUDED & WHAT YOU NEED TO KNOW: Transportation, lodging, transfers and baggage handling and meals as indicated on the itinerary. All rates are per person in U.S. dollars based on shared occupancy. Single supplement is $900 for this tour. Tour does not include Alaska taxes, air transportation to and from Anchorage or any optional tours, liquor, items of personal nature or purchases made on-board the vessels. Airfare to/from Anchorage from your gateway city is not included . *Denotes optional activities/tours. OTHER GENERAL INFORMATION REGARDING THIS TOUR: This itinerary is subject to change due to circumstances beyond our control including, weather, trail conditions and possible race start relocation. The last few winters have been particularly difficult for the Iditarod Race with many challenges along the race trail/route due to the warmer climate. The Iditarod Trail Committee could change the race start/restart due to changing or poor weather conditions. The final decision is made by the ITC early February and this could impact our tour itinerary and scheduled planned activities. Participants must be flexible and willing to understand that these changes are beyond our control. In the event that the race is moved north to Fairbanks for the official race start, you will be presented with options for watching the race at that time. NOTE: If you don't have too much time, this tour can be modified or shortened if needed. Please call us for more details! TOUR COST: From $3,995 per person double occupancy. MEALS: (CB)=Continental Breakfast (B)=Breakfast (L)=Lunch (D)=Dinner.